Eight of the leading Las Vegas luxury architects, builders and residential designers talk about the recent home design trends, and how modern is replacing the Tuscan and Mediterranean styles in the valley. 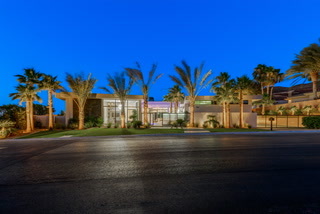 Most have embraced the popular modern look that has become common in new luxury home communities. Eight of the leading Las Vegas luxury architects, builders and residential designers talk about the recent home design trends and how the modern style is replacing Tuscan and Mediterranean styles in the valley. 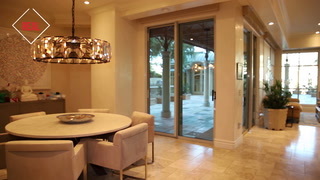 Most have embraced the popular modern look that has become common in new luxury home communities. The 46-year-old started his company more than 19 years ago and has done projects in Ascaya, Summit Club, MacDonald Highlands and The Ridges. He said contemporary is where it’s at today. 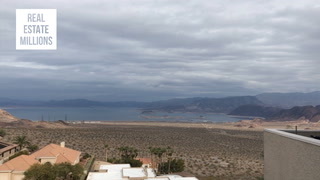 However, he’s not done with Tuscan design, since one client from Texas wants a Tuscan home in Lake Las Vegas because that’s what the client feels the most comfortable with. 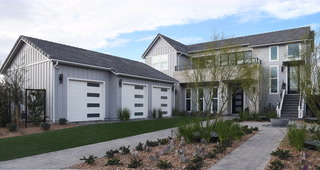 Coletti said his design-build company has created more than 500 custom homes in Summerlin, Henderson and the rest of the valley over the past 30 years. He said he’s seen how Tuscan homes have lost their popularity over the last three to five years. 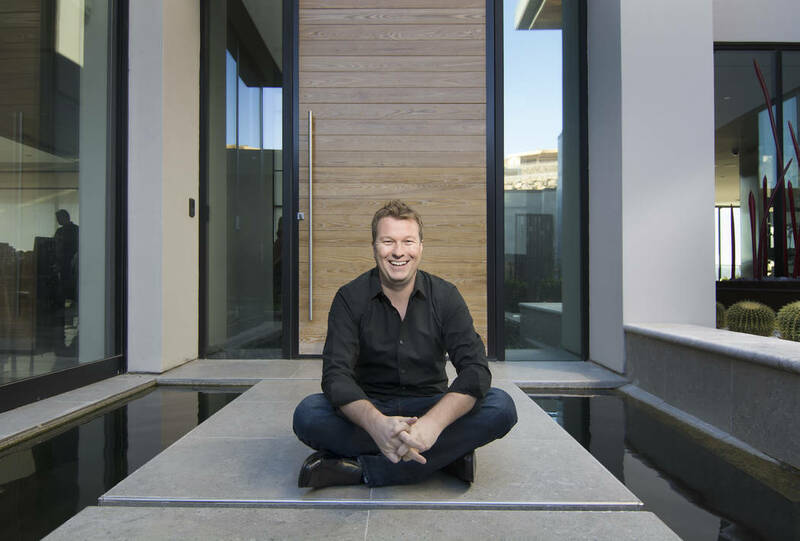 People want more contemporary homes in which he uses glass, wood and stone. Coletti said he’s done his share of Tuscan-style homes but has no regrets because they were beautiful styles, and they were popular with customers for many years. 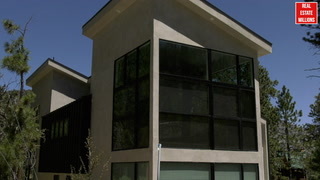 He said the Mediterranean style in Las Vegas was influenced by California, but the city is large enough to create its own style that has a desert feel. 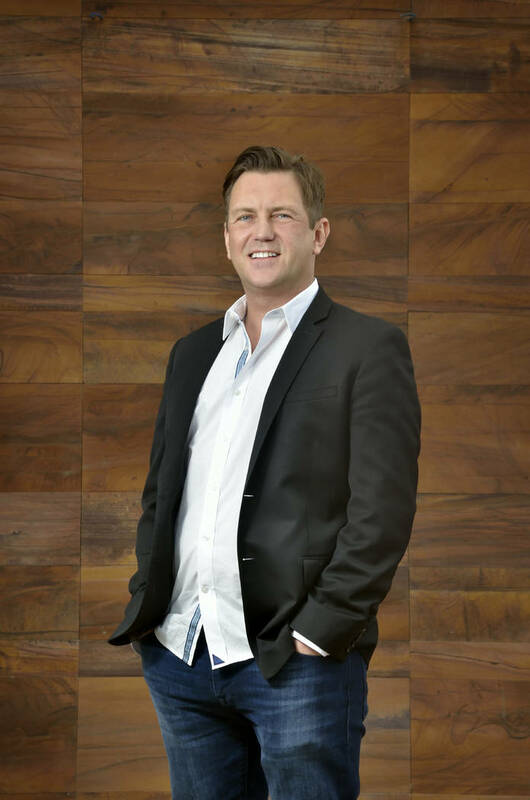 The 39-year old started his firm at the end of 2010 upon moving to Las Vegas from California. His company also works on hotels and design work inside high-rises. 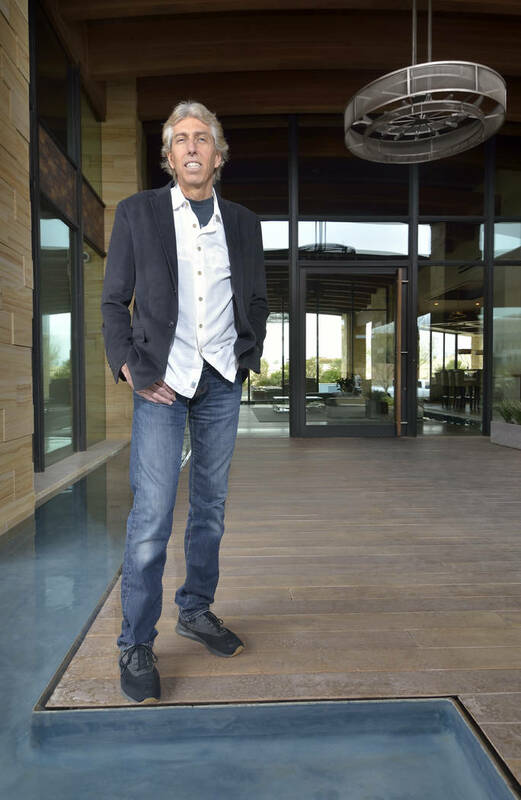 He has strong views on what he saw with Southern Nevada residential architecture. Gardner, who’s done projects in MacDonald Highlands, The Ridges and other luxury communities, said some of the younger architects, like himself, have tried to “push and elevate the level of design, and it starts by creating a unique piece of architecture” in Vegas homes. 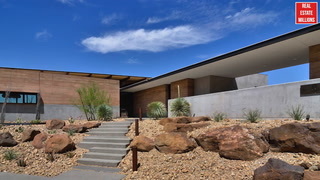 Gardner said he’s worked on homes using rammed earth and that it’s better to use more natural materials than the “harsh feel of stucco,” which has been a standard in Las Vegas. The 42-year-old was born and raised in Las Vegas and started his own firm in 2011. 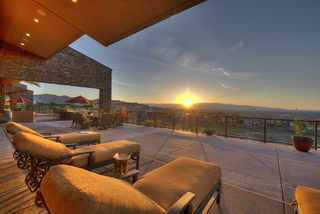 He has designed homes in The Ridges, Summit and Ascaya, and most are priced between $3 million and $6 million. “We do modern designs and very clean lines and tend to erase the boundaries between indoor and outdoor,” Hoogland said. Before the wave of Tuscan and Mediterranean homes, there was a ranch style wave, Hoogland said. 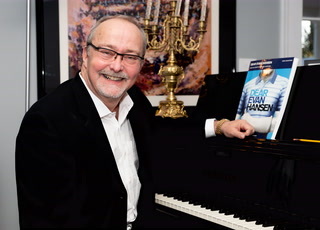 “I think the architecture we like to do is very clear and clean, so you understand at first glance the overall concept of the house,” Hoogland said. 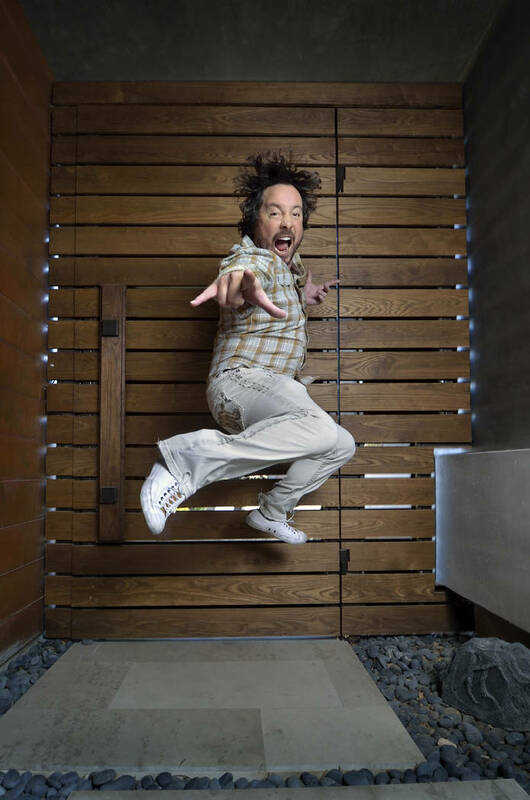 The 40-year-old has been exposed to the industry his entire life, starting with his dad, who was a local custom homebuilder. He’s worked with architects since he was in high school and started his own company 14 years ago. 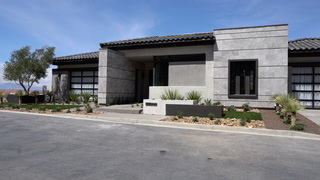 Jones built three modernistic homes to be showcased by the National Association of Home Builders when it holds its convention in Las Vegas next year after spending three years in Orlando. He said Southern Nevada has been lost for a long time architecturally, but that started to change a decade ago. The Tuscan, Mediterranean and even Spanish styles don’t make sense for Las Vegas, he said. Historically, architectural styles tend to develop over hundreds of years and in response to a climate, culture and geographic area, Jones said. A Tuscan farmhouse is built with local materials. That includes designing homes for shading and allowing indirect natural sunlight so there doesn’t have to be a lot of lights on, Jones said. There’s a heavy use of glass, and the architectural form is determined by whether a home faces north or west and by how the sun moves across the sky. 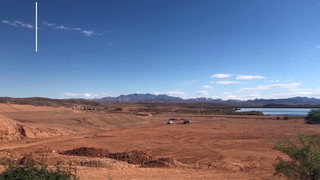 Blue Heron has built in The Ridges, Southern Highlands, MacDonald Highlands, Seven Hills, Ascaya, Anthem and Lake Las Vegas. It’s constructed about 150 homes. Luke is the veteran in the design scene in Las Vegas, having started his firm 32 years ago in 1986 after he moved to Southern Nevada from Australia. 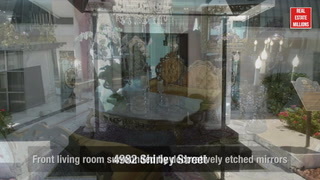 The 64-year-old has done luxury homes throughout the valley. 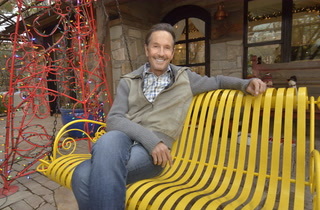 Luke said he started his career in Australia doing modern and contemporary designs and didn’t learn Mediterranean and Tuscan styles until he moved to Nevada. 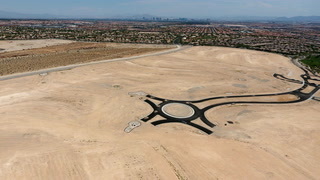 Luke credits the influence of Howard Hughes Corp., the developer of Summerlin, and Rich MacDonald, the developer of MacDonald Highlands, for identifying the need to change the trend away from Tuscan to contemporary to attract more international buyers. 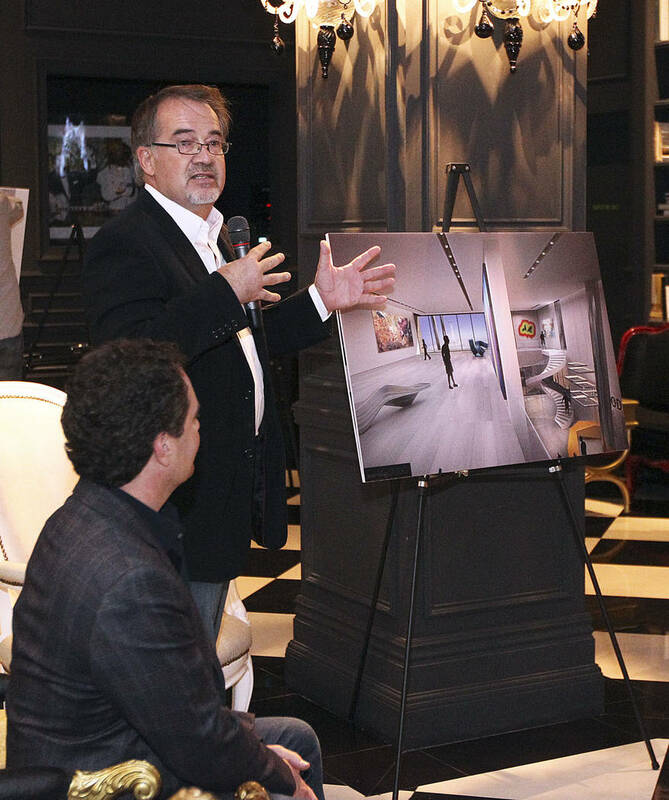 Robillard, 45, moved to Las Vegas in 2006 from Boston to work on the Fontainebleau (now The Drew Las Vegas) and started his own firm more than two years ago. 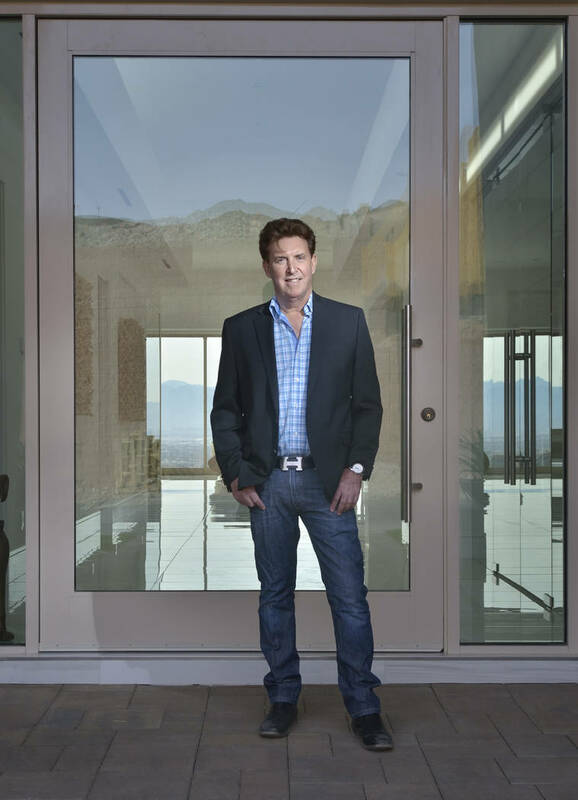 He has designed a home that measures more than 13,500 square feet that will be built in the Summit Club in Summerlin. Architects in town need to be more responsive to the climate and sites to enhance views and better orient the homes for heating, cooling and the sun, he said. Robillard said he started his own studio because he wanted to work on smaller projects. When he worked as an architect in the commercial industry, projects didn’t always move forward, and that’s frustrating, he said. Robillard said the younger generations are fueling the movement to more modern designs, and that trend will continue. Strain, 56, moved to Las Vegas in 1970 when he was 8 and got interested in architecture because his grandfather was a contractor who did his own drawings. He started his firm 21 years ago and said he’s never done a Tuscan project in his career. 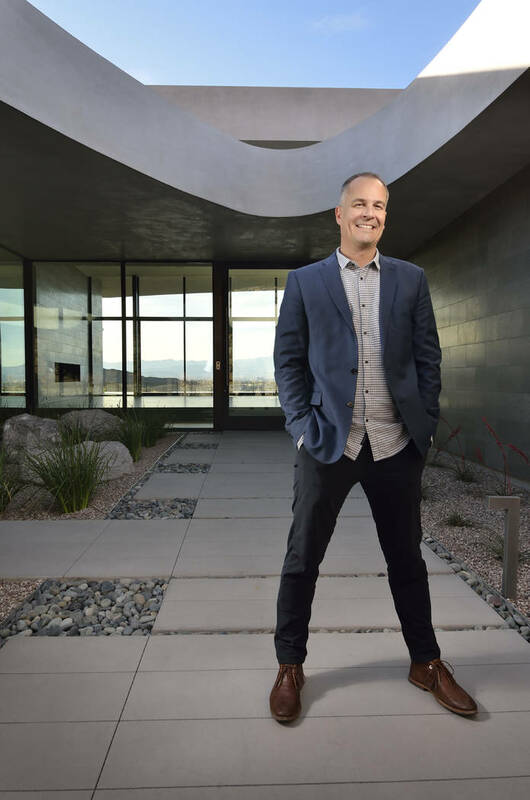 He’s designed homes in high-end communities in Henderson and Summerlin, and he said the focus is on designs that are appropriate for the environment. Strain said no one incorporates more glass in homes than he does. He said it’s important to allow indirect light without allowing heat to penetrate the space. 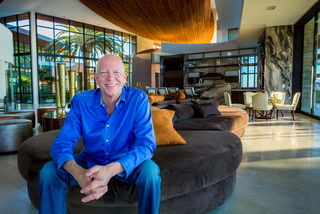 Jim Rhodes has created the most expensive home on the market in Las Vegas. 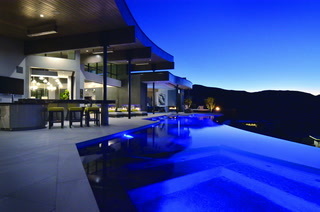 The home is listed at $29,995,000, 9,798 sq. 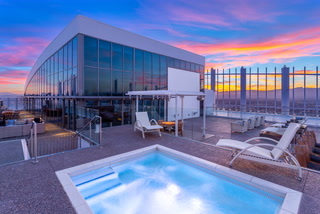 ft., 8 Bedrooms, 8 Full Baths, 2 Half Baths and has 360-degree views of the Las Vegas Strip. Reality TV star Rick Harrison from Pawn Stars shows his eccentric home off in the Red Rock Country Club. The house is 8,845 square feet. 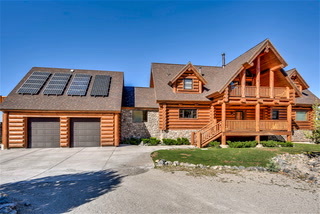 It has five bedrooms, seven bathrooms and three additional rooms. It is listed at $3,999,999. 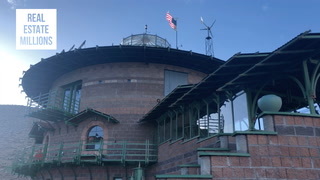 Sitting on top of a mountain overlooking the Lake Mead recreation area, Scott Baranoff gives a tour of his 4,655 square feet Frank Lloyd-Wright inspired home in Boulder City. 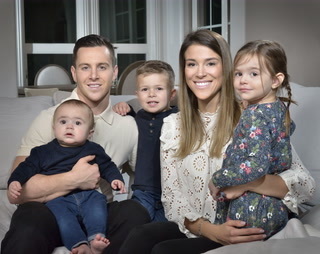 Vegas Golden Knight Jonathan Marchessault, shows off his Summerlin home. 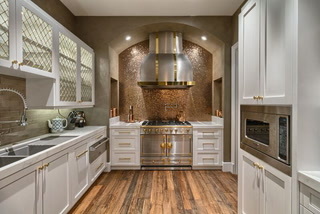 Camila and Brent Lincowski have planted roots in the Las Vegas area with a $1.5 million home in Henderson. KB Homes and Google have teamed up to create a smart home. Realtor and owner of Operation Halloween, Nicole Tomlinson, shares high-end luxury 'tricks of the trade' for Halloween decorating. 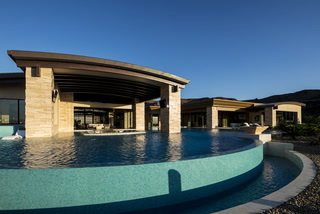 $15.5M Ascaya home has 5,900-square-foot pool. Real Estate Millions takes a look at Blue Heron Real Estate. 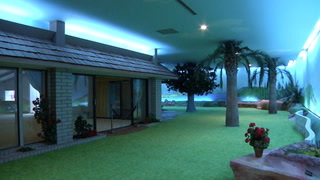 The underground house at 3970 Spencer Street is one of the valley’s most unusual homes built 26 feet underground in 1978 by Girard “Jerry” B. Henderson, who, planned to survive the end of the world there.